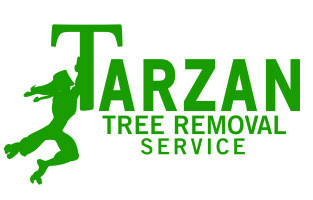 Tarzan Tree Removal provides 24 Hour Emergency Tree Service. 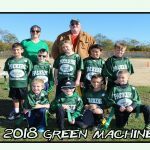 Why Choose Tarzan Tree Removal’s Emergency Tree Service? Tarzan Tree Removal is the highest rated Emergency Tree Service. Our company successfully developed a trust emergency service after its position during Hurricane Sandy. Customers trust us as a source for tree service. Although there are other tree companies out there, none of them have been able to create relationships with community members like we have. Our 24 Hour Emergency Tree Service provides tree removal, trimming and stump grinding during dire situations. Joseph Messina, owner of Tarzan Tree Removal, can be reached during any type of emergency. He will access the situation by looking at photos or visiting the property. Joseph is available 24 hours, seven days a week. A tree professional is always on stand by. The crew that we have is passionate and always ready to work. Customers are constantly calling us because rotted or sickly trees have fallen down to their property. Because weather also plays a factor in these situations it may be difficult to stop. However, to avoid weak trees from falling customers need to call us the second they notice rotted spots or bug infestation. A tree arborist can check on the health of the tree. They will decide what the tree’s health means. Tree removal may be necessary in some cases. For example, a homeowner from Mill Basin called us. The woman was very frantic because a tree had fallen on her car. Joseph was able to calm her down. He got to to her home in under an hour. He and his team removed the tree and branches off of her car. After the tree was removed Joseph spoke with her home insurance company to explain the emergency tree service. The client was very happy with the outcome. She could not thank us enough. Homeowners can be compensated for all the money they spend. However, before customers call their home insurance we recommend to call a public adjuster. Our Emergency Tree Service team has helps home owners get the highest compensation. A member from our company will then make sure that the invoices are correctly written out to address all of the damage that was done by the tree. Customers believe that they can trust us, which makes our job easier. They take what we tell them seriously and understand that the advice we are sharing with them is for their best interest. We can be reached at 347-833-5862. Yes, our company is fully insured and is equipped with workers comp insurance. 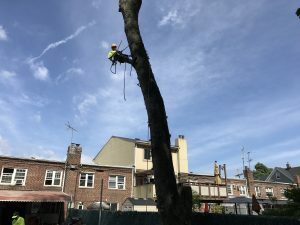 To book a tree service or tree estimate, please call 347-833-5862 or e-mail booking@tarzantreeremoval.com. 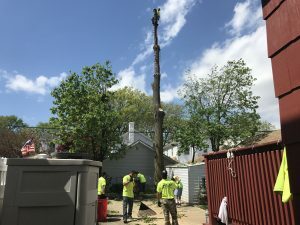 Tarzan Tree Removal provides strategic tree services by trained and qualified professionals in all five boroughs of New York City and Long Island. Our company addresses the health and aesthetics of your landscape as well as the safety and liability of host and adjacent properties. Want a free estimate on your tree service or landscaping project? LEAVE YOUR EMAIL TO RECIEVE THE BEST RATES AROUND. NO OTHER COMPANY COMPARES TO OUR SERVICES AND PRICE.